We're a national non-profit organization providing Caregivers with innovative new resources, programs and products. This year we're developing unique new programs and resources for unpaid family caregivers (now 1 in 5 people in the US!) and professional caregivers (doctors, nurses, counselors, and allied healing professionals). Subscribe to our free monthly Care For The Journey NewsFlash, and you'll receive the latest caregiver news and resources. We look forward to traveling down this new road with you! 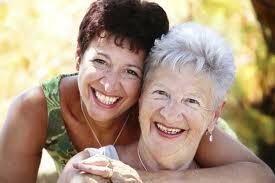 Family Caregivers – 1 in 5 Americans? Yes, over 65.7 million Americans are unpaid family caregivers of an adult or child. The majority are female, with an average age of 48 years. Important: If you're a family caregiver, you're not alone, and there are RESOURCES for you! 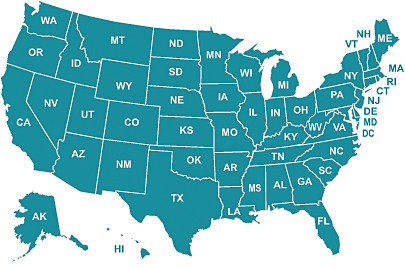 Companion Arts offers select, acclaimed CDs and books for all caregivers, and we also highly recommend the following resource: The Family Caregiver Alliance has listings of available resources in YOUR community – just go to their site and click your location on its US map (similar to the graphic below). The Family Caregiver Alliance also has excellent, comprehensive resources – people, services and information – on 6 specific topics: Preparing for Caregiving; New To Caregiving; Daily or In-Home Caregiving; Long Distance Caregiving; Caregiving With Advanced Illness; Post Caregiving. In upcoming months Companion Arts will be producing our monthly NewsFlash, which will contain the very latest caregiver resources. You can sign up for your free NewsFlash below (scroll down); we look forward to providing you with the latest caregiver resources! We’re delighted to welcome Maria Hoaglund — chaplain, hospice spiritual counselor and acclaimed author — to our Program Advisory Board. Maria brings us fresh new perspectives on death and dying – a subject that many avoid, but of great potential benefit to all caregivers, care recipients and anyone who wants to live with maximum vitality! 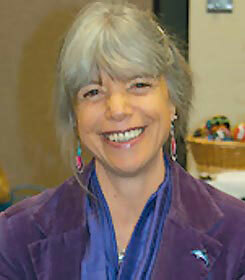 Stay tuned for our June launch of Ask a Hospice Counselor with Maria Hoaglund! 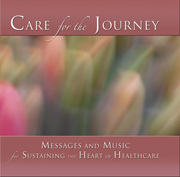 Developed with a national advisory group of renowned healthcare leaders, our acclaimed Care For The Journey audio resources are an essential for every healthcare professional. 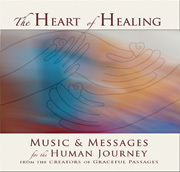 These inspiring, experiential CDs integrate professional caregivers' everyday practice with their overall mission of compassionate service -- a feat beautifully accomplished by combining Gary Malkin's award-winning music with the spoken wisdom of healthcare and world thought leaders: Angeles Arrien, PhD; Joan Borysenko, PhD; Ira Byock, MD; Jeremy Geffen MD; Naomi Judd, RN; Tom Lant, PhD, RN; Christiane Northrup, MD; Christina Puchalski, MD; Rachel Naomi Remen, MD; CA Co-Founder Michael Stillwater, Desmond Tutu, and Jean Watson, PhD, RN. 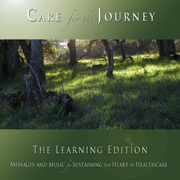 Care For The Journey audio tools are used by 100+ major healthcare institutions throughout the country for training (see reviews and testimonials) and by 15,000+ individual professional caregivers. Copyright © Companion Arts 2016. Companion Arts™ and Care for the Journey™ are trademarks of Companion Arts. Companion Arts is a 501(c)(3) nonprofit dedicated to helping family and professional caregivers.